Swimming to Madeline Island has been a storied feat around the Bayfield area for decades. Starting as a community swim for 24 people in 2006, the Point to La Pointe has grown into a thriving race that sells out annually at 500 swimmers. Registration is open for the 14th Annual Point to La Pointe on August 3, 2019. There are no refunds, transfers, or credits. Please support our sponsors with your business! Thank you, thank you, thank you to all our sponsors who make this event possible! Check out the latest information and water conditions at our Facebook Page. Zorbaz Gull Lake Challenge takes place in one of Brainerd's Gull Lake Chain’s hidden treasures – Lake Margaret. A large expanse with narrower channel segments offer swimmers calm water to swim. This makes it well suited for all levels of swimmers and triathletes alike. The full race 2.4 mile distance is the perfect season warm-up for ironman distance triathletes, and the mid-sized/sheltered nature of the race makes this perfect for the less experienced swimmer trying their first distance open water race. The 1.2 mile option and the relay option (1.2 and 1 mile legs) adds variety for athletes who are looking for an open water race but aren’t ready to tackle 2.4 miles, are training for other 1 mile swim races or are preparing for shorter triathlons. See why Point to La Pointe is one of the best open water swims in the US! Bayfield is a small city of 475 on the shores of Lake Superior in northern Wisconsin. It’s the gateway to the pristine beauty of the Apostle Islands National Lakeshore, with camping, kayaking, trails, sea caves, and beaches. 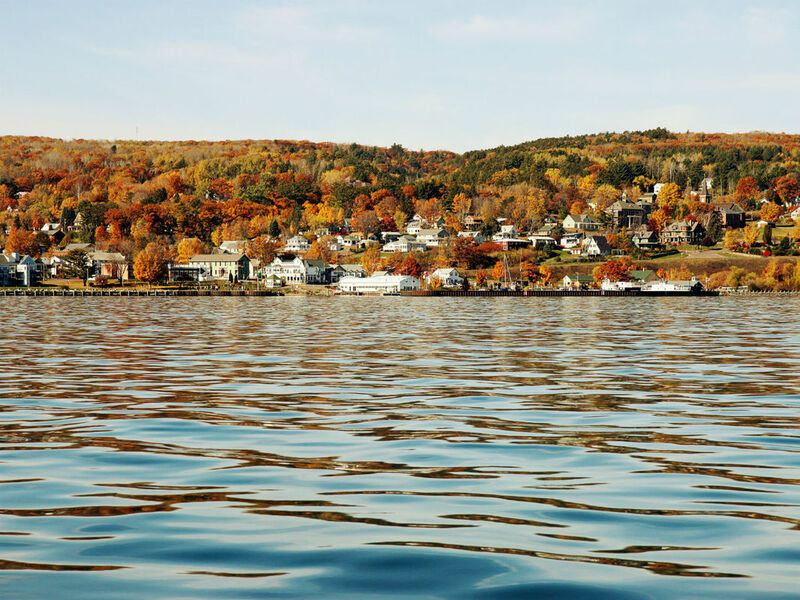 ​Madeline Island has long been a vacation destination as the only one of 22 Apostle Islands that is inhabited year-round, serviced by the Madeline Island Ferry Line. August is the ideal time to experience the beautiful scenery, clean air and water, friendly people and waiting adventures of the region. Visit the businesses who sponsor this event.